Holiday gifts at Wentworth Greenhouses. Wentworth Greenhouses' Fifth Annual Artisan Celebration and Fair will include talented artisans from the states of Maine, New Hampshire, Vermont, and Massachusetts. We hope you can plan to join us to celebrate the day. Great arts, crafts, and equally enjoyable live music await you! I'll be giving a demonstration at AVA's Holiday Exhibition & Open House from 2–5pm. Find fun and unique gifts ranging from artwork in all media to handmade ornaments and fine jewelry. Resident artists will have their studios open to the public and there will be live music! This final exhibition of George Marshall's 2017 season brings together works by artists who have exhibited with the gallery in the past and is an opportunity to introduce new artists to the gallery and our audience. Woodfired pottery from the Fushigigama woodkiln at the Sharon Arts Center. Join us in a celebration of the creative enigma that is woodfiring! This exhibit features work from the most recent large-scale community firing of our Fushigigama woodkiln, an ancient yet modern artistic process. 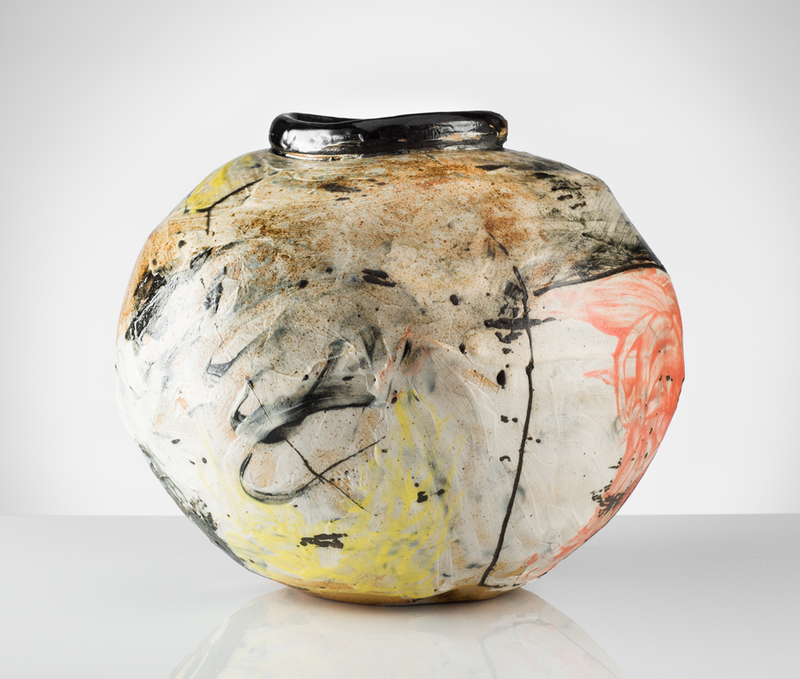 The work and the overall exhibition demonstrate an elegant balance of the individual creative process with the mark of fire and the collaborative nature of woodfiring. This exhibition runs from August 18th through September 17th and it is on view in the main gallery! Black Trumpet in Living with Craft at the Annual Craftsmen's Fair. Honored and grateful to have received the award for Best in Ceramics in this years Living with Craft exhibition at the 84th Annual League of New Hampshire Craftsmens Fair. Come by and check it out! I'll have two new works in this exhibition, some catfish in the sculpture garden and a booth at the Fair. Come visit me at Tent 8, Booth 812! New ceramics at the Annual Craftsmen's Fair 2017. I'll have a ton of new work at this not-to-be-missed annual craft event! I've built 3 new kilns and have been firing all summer long. Come see the new work! I'm in TENT 8 | BOOTH 812! 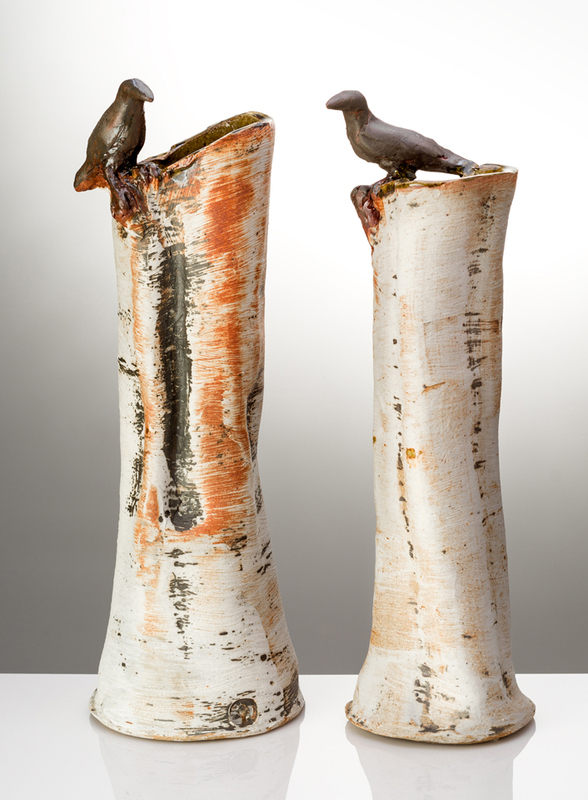 David Ernster is a ceramic artist whose work is deeply connected to nature and water. This inherent connection is rooted in both the materials he uses and his childhood fascination with fossil formations along the Mississippi river. 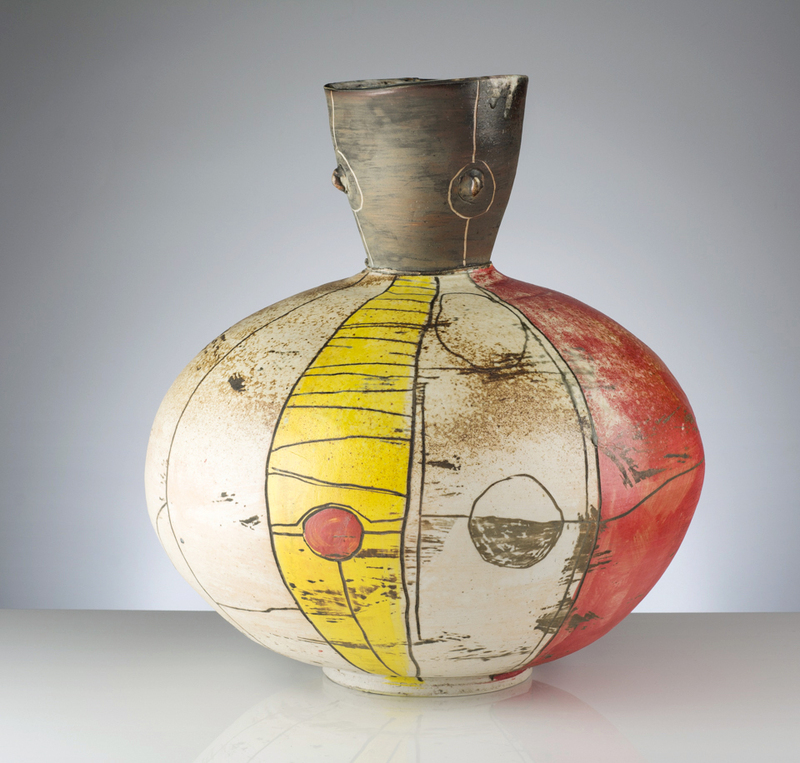 David’s interest in vessels and their ability to contain infinite possibilities is what drew him to work with clay and metal, mediums traditionally used in the creation of vessels. In addition to his own work in ceramics, metal, and jewelry, David has taught at multiple universities and is a visiting professor of art at Colby-Sawyer College. I'm excited to be back on the seacoast showing some of my new work! The Fourth Annual Artisan Celebration and Fair will include talented artisans from the states of Maine, New Hampshire, Vermont, and Massachusetts. Hope you can join us! Breaking the Mold – A Collaborative Exhibition with Tokyo University of the Arts: Marian Graves Mugar Art Gallery. Take a self-guided tour through this innovative exhibition featuring over 50 works of contemporary ceramic art created by faculty and students of the Tokyo University of the Arts (Geidai) and Colby-Sawyer College. Curated by Professor Jon Keenan, chair of the Department of Fine and Performing Arts. I've been building new kilns and creating new work in preparation for this big event! Shop for one-of-a-kind craft, see demonstrations by master craftsmen, and participate in do-it-yourself workshops. Come see me in Tent 8, Booth 812! More than 200 handcrafted works by juried craftsmen are creatively arranged in a series of room vignettes. Each vignette features a diverse collection of craft media that creates rooms with a vibrant look and cohesive feel – rooms you would want to live in. All items are available for purchase or special order. I'll have two new works int this exhibition and I'll also have a booth at the Fair. Come visit me at Tent 8, Booth 812! I'll be throwing this Saturday at the Fells! Come discover what everyone finds so special about The Fells through the eyes of my fellow plein air artists and myself as we demonstrate during Artists Weekend. An exhibition showcasing recent creative and innovative work by juried members of the League of NH Craftsmen. I'll be showing 2 new works alongside many of my fellow craftsmen. Join Colby-Sawyer Artist in Residence David Ernster for a multimedia presentation on craft and ceramics. Featuring his own work, as well as pieces by contemporary and historical ceramic artists, Professor Ernster will explore issues and ideas relevant to craft in our daily lives. Professor Ernster has taught at the college since 2011 and has expertise in ceramics, printmaking, metalworking, sculpture and jewelry-making. He holds a B.F.A. from the University of Iowa and an M.F.A. from West Virginia University. I'll be exhibiting my latest sculptural pieces and experiments in color at the ZeroCelsius Wealth Studio Microgallery. Also featured: abstract painter, Roger Wells. I'm happy to have a few pieces in this show, Insightful, a traveling exhibition in partnership with the League of NH Craftsmen and the NH Association for the Blind. The exhibit features high tactile and high contrast craft. Sighted and visually impaired visitors are encouraged to experience the work through touch.